When you buy lemons in bulk, I guess baking multiple lemon-themed desserts is to be expected. But at least the kitchen smells heavenly and fresh! And if you’re thinking that my lemons last for a frighteningly long time, this is actually a 2 week delayed post *shame face*. But I do have good reason for the delay! We moved! Meaning in the physical sense, not the blog address, obviously. Now I have my very own type-A kitchen, or I should say we have my own kitchen. I can’t wait to bake and blog up a storm in here, but as you would have guessed, it needed a bit of time to get freakishly organized and all purchase all my favorite utensils. 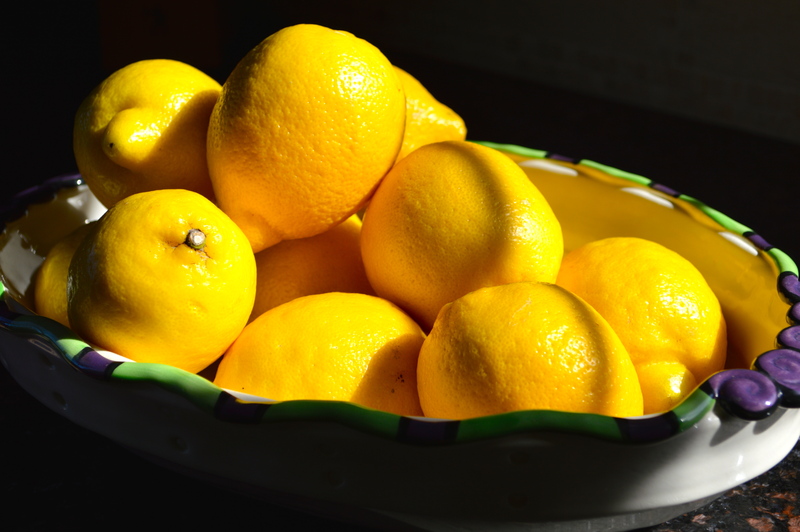 The funny thing you guys are experiencing all this lemon exploration, but in reality, I’ve really never had many lemon desserts in my gastronomic experience – we’re doing it together! I did the lemon bars last week, and those too I made without having before. 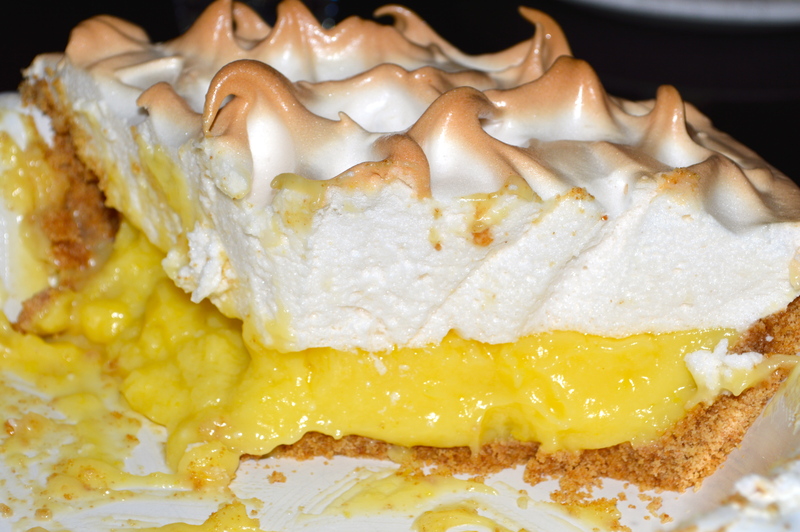 Lemon Meringue pie always seemed too… goopy for me growing up; I had a thing with texture. 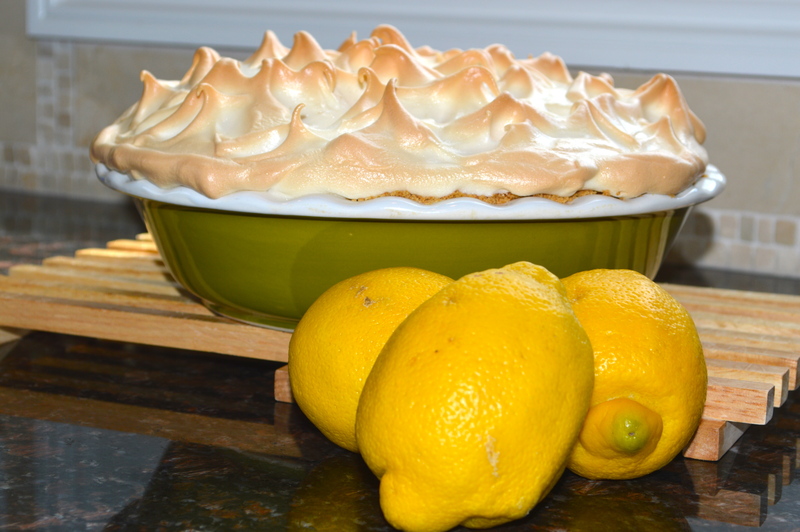 I had wanted to use the lemons in something fun and exciting; so I decided to bring it back to basics and give this pie a shot. I used a variety of techniques/recipes for this baby so see below for the one I used. I did switch it up and bake it with a nice thick graham cracker shell, figuring that the crunch would nicely offset the light airiness consistency of the pie. Again with the texture- it’s one of my many idiosyncrasies; it was delicious by the way. Graham Cracker shell – butter and about a bit of sugar for sweetness. 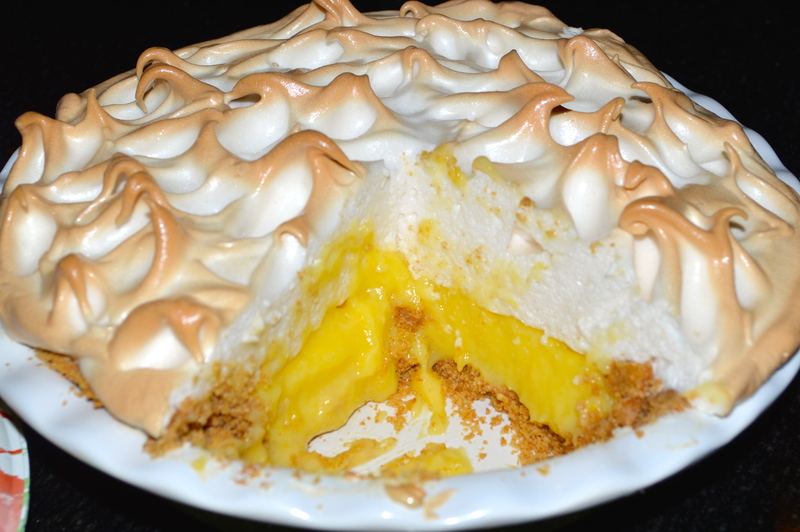 A lot of reviews of lemon meringue pie include negative feedback about consistency of the lemon middle; through research, I’ve found that the step of thickening the lemon filling is imperative, I waiting a bit longer that I though I should- and it came out perfectly! This was the custard part of the filling, definitely WAIT for it to thicken! Don’t rush the process. Also – are you noticing anything new with the photos!? Not that you can really tell on your end, but they’re taken from MY camera! Confession – I’ve been using my dad’s camera throughout this whole blogging process. Don’t I seem legit? But, for this most recent birthday, I was surprised with my very own camera! It will definitely get utilized for baking, and HOPEFULLY for traveling in the near future! I’ve been dying to make a foodie-abroad post! Get ready for some nice looking meringue people! Most recipes tell you to take the back of a spoon to make the peaks on a meringue. The dirty truth, and quite honestly easiest approach is to utilize the original tool – your hands. Pinching the meringue with thumb and finger, bring it up all around the pie. Meringue washes off super easily and isn’t very sticky… just do it! 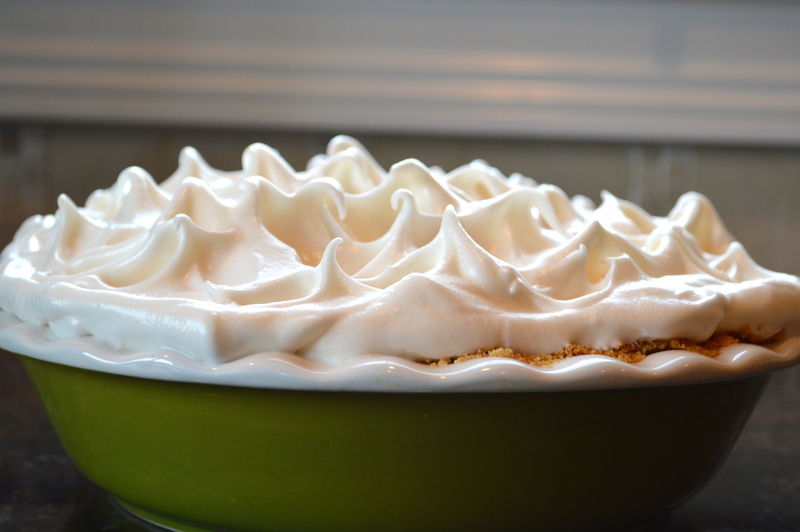 This shot is so cool – check out the air bubbles in the meringue! The pie is intended to be a bit goopy, but I did enjoy it! The lemon was fresh and light, and personally, I think the crunchy graham cracker shell tied it all together! Just like grandma’s – sitting near the window sill to cool! I’m sitting in my new kitchen, and contemplating what I want to whip up as my first dessert here; it’s definitely a hard decision! But stay tuned to hear more about my adventures and I’m sure mishaps as I continue to bake away! 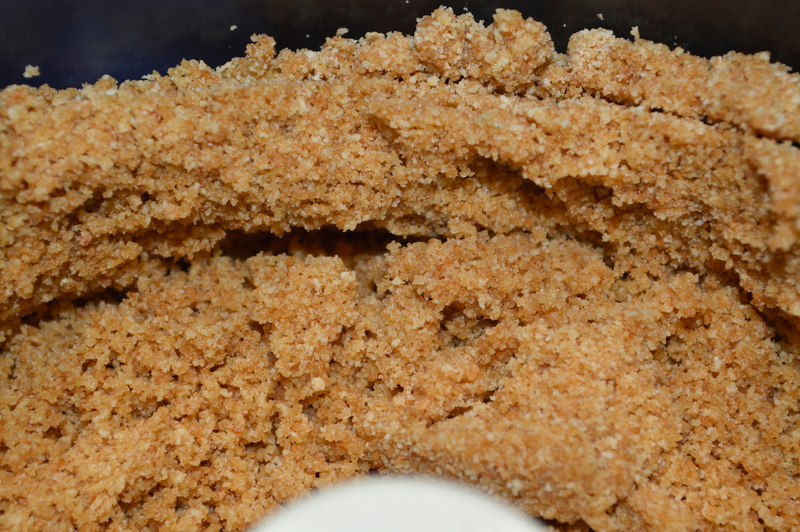 Bake graham cracker crust for 5-9 minutes until slightly browned and hardened. Take out of the oven and allow to cool. Whisk sugar, cornstarch, and salt together in a large saucepan. 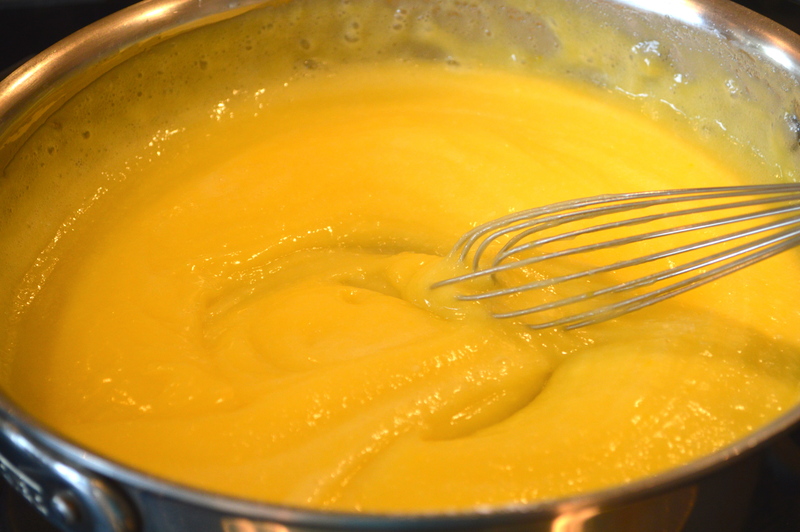 Add egg yolks then immediately slowly gradually whisk in 1.5 cups water. Bring this mixture to a simmer over medium heat, whisking regularly until thickened (about 8-10 minutes). 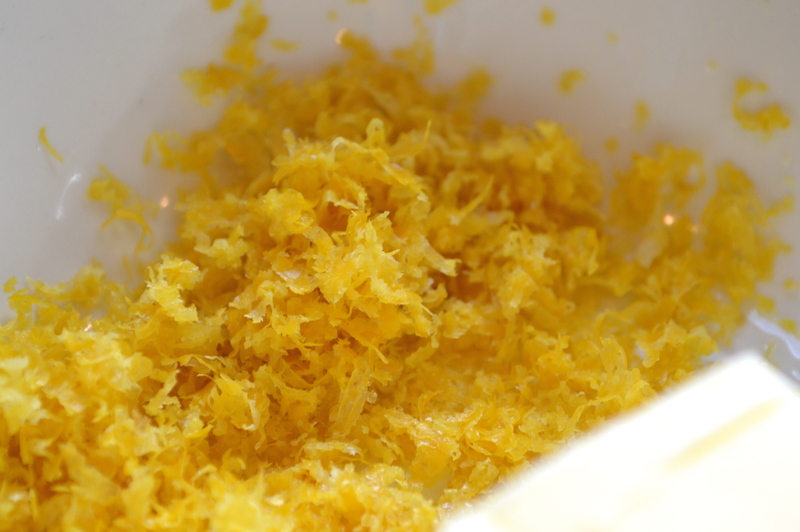 Remove from heat, whisk in lemon zest, then lemon juice, and then lastly butter. While this is still warm, make meringue. Mix cornstarch and 1/3 cup water in a smaller saucepan. Simmer, while whisking until thickened. Once translucent and thickened, remove from heat. In a large mixing bowl, mix cream of tartar and sugar together. Whip egg whites (whip not paddle attachment) in a mixer until frothy. Add vanilla. Beat in sugar mixture slowly. Next, plop in cornstarch mixture, a bit at a time until stiff peaks. Pour warm lemon filling into graham cracker crust. 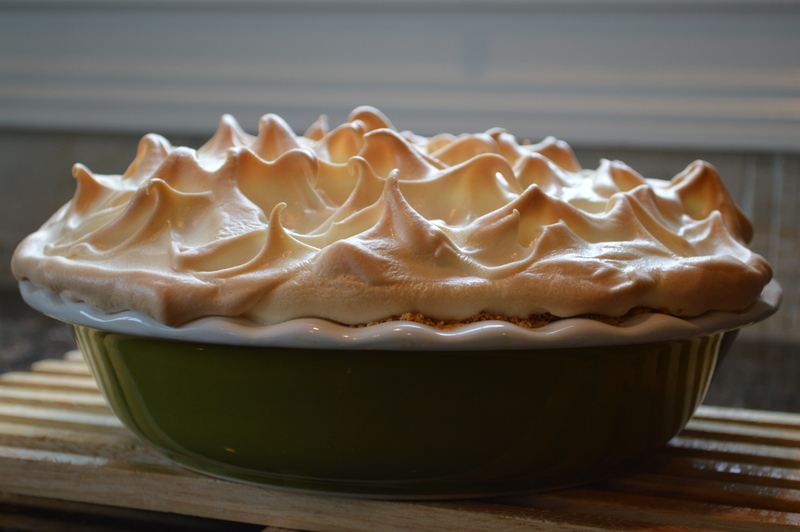 Distribute meringue evenly over the top, starting at the edges, and then the middle – ensure the meringue completely touches crust all around. 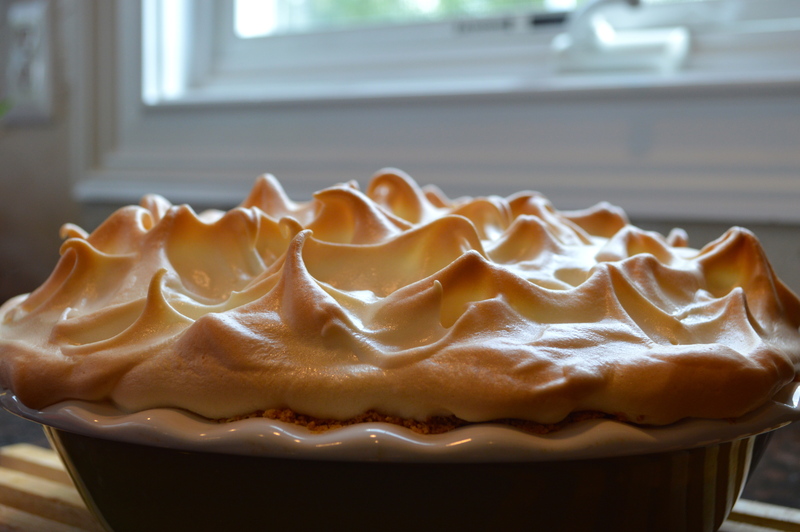 Create peaks on the meringue with thumb and middle finger in circular motion all around the top. Bake until golden brown, about 20 minutes. Cool completely before serving. Thank you so much Crystelle! !